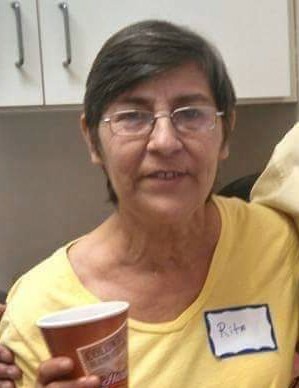 Mrs. Rita Ann Pickering, 65, of Lake City, passed away Sunday morning, October 21, 2018 at her residence after a sudden illness. She was born in New Orleans, Louisiana on July 19, 1953 to Manuel and Joanne Laiche Gautreau. She has made Lake City her home since 1997 and was of the Catholic Faith. She was a housekeeper with the Country Inn and Suites as well as the Head Housekeeper with the Econo Lodge before her health forced her to retire. She loved watching the ID channel, playing games on her phone and Facebooking. She also enjoyed being with her family and going to the beach. She is survived by her loving husband of 44 years; Daniel Louis Pickering of Lake City; parents; Manuel and Joanne Gautreau; sons; Michael Pickering (Sandy) of Orlando and David Pickering (Deanna Brock) of Lake City; daughters; Melissa Urbanski (Frank) of Perry, Theresa Pickering (Joshua Simmons) of Lake City, Corie Pickering (Chris Buse) of Lake City and Brenda Williams of Coleman, AL; brother Michael Gautreau; sister, Wanda Campbell, 13 grandchildren and 6 great-grandchildren also survive.